Books are art, you know? Sometimes literally. 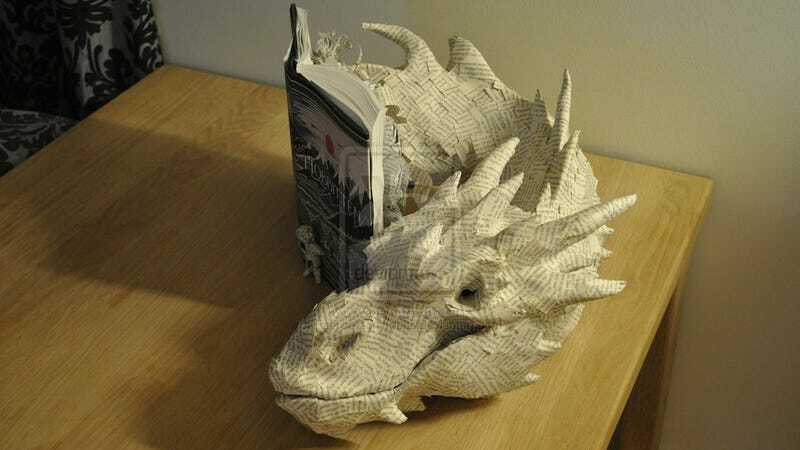 This paper-sculpture is the work of Danish artist Victoria, known on DeviantART as FarTooManyIdeas. She crafted it before the most recent Hobbit movie came out, "after watching the trailer many many times."